Health care is the largest industry in Whatcom County with PeaceHealth St. Joseph Medical Center as the largest employer. PeaceHealth is known for its state-of-the-art facility, friendly staff, and providing comprehensive care including specialty services in heart, joint and cancer care. Addressing the needs of the entire community, the hospital’s campus also includes an emergency room, a birthing center, and the center for senior health. 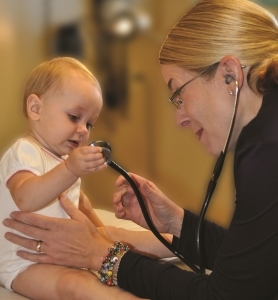 Family Care Network’s Dr. Sloane Winkes examines baby. 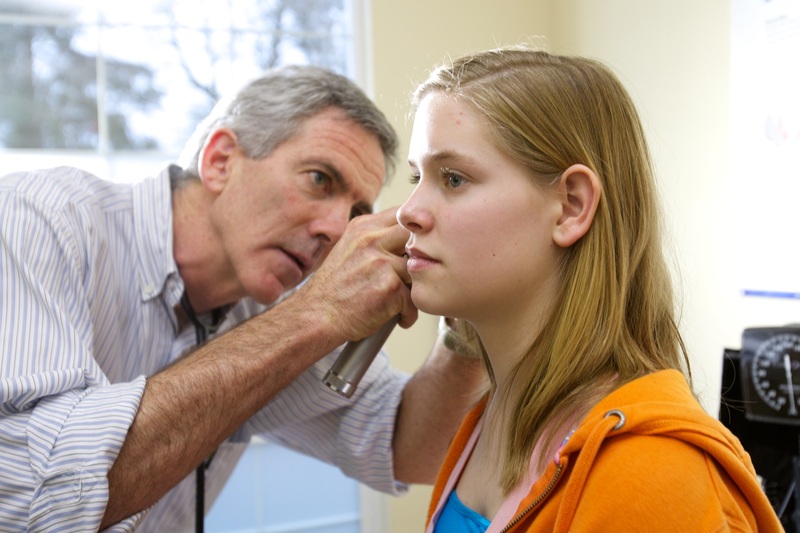 The Family Care Network (FCN) is the county’s largest single specialty group practice and a leading force within the local medical community with six Bellingham offices, four Whatcom County offices and one after hours urgent care facility. As a locally owned and independently operated healthcare network, FCN is free to focus on what matters most — the health and well-being of you and your family. Unity Care NW provides affordable, evidence-based primary care. They provide preventive medical, dental, behavioral health and pharmacy services for children and adults to over 17,000 Whatcom County residents each year. Their integrated care team provides comprehensive coordination of your primary health care needs. They believe in the benefits of prevention, early detection and treatment, health education, and the value of helping their patients make informed health care decisions. Care Medical Group is a locally owned and operated collective of diverse medical & administrative professionals; who provide high-quality medical care to Bellingham, WA and the surrounding Whatcom County residents and businesses. Care Medical Group has expanded from urgent care and family medicine to include occupational medicine, physical therapy, sports medicine, massage & wellness. healthy workforce, prevent illness and work with employers on occupational hazards that cause risks to employees. Bellingham is also home to numerous chiropractic facilities dedicated to focusing on health of the whole body & focused on addressing pain and prevention through wellness education. Chamber members Color Chiropractic, Natural Way Chiropractic and Noble Chiropractic are excellent choices for your chiropractic needs.